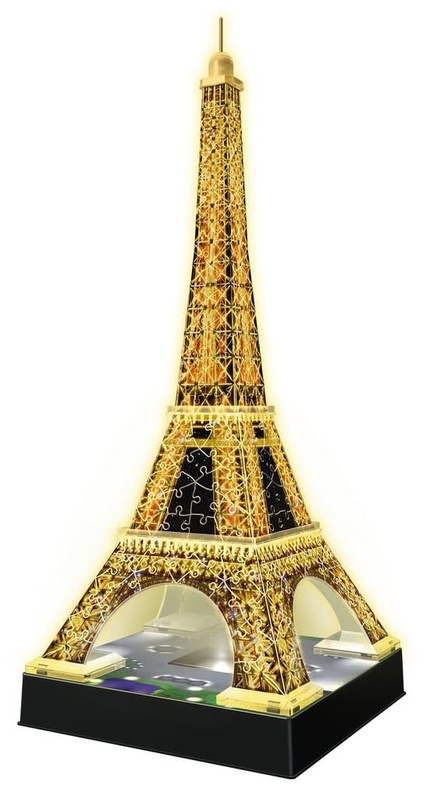 Construct one of the world’s most recognizable structures in illuminating 3D! 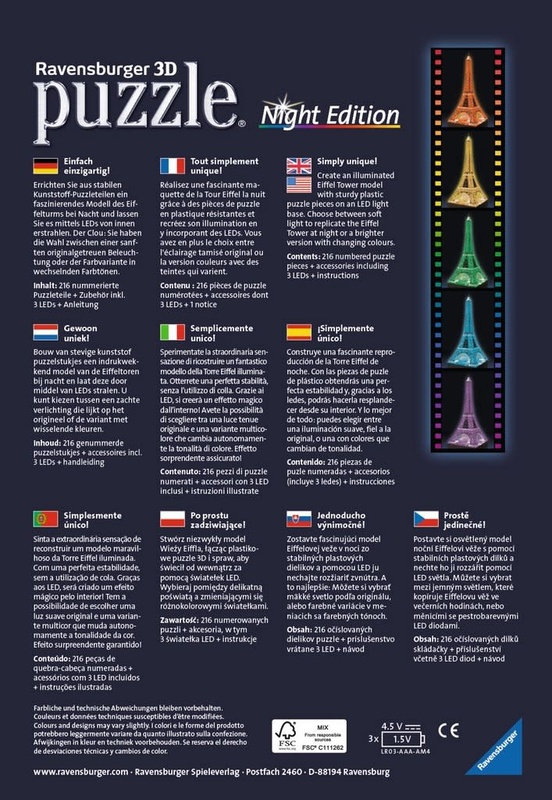 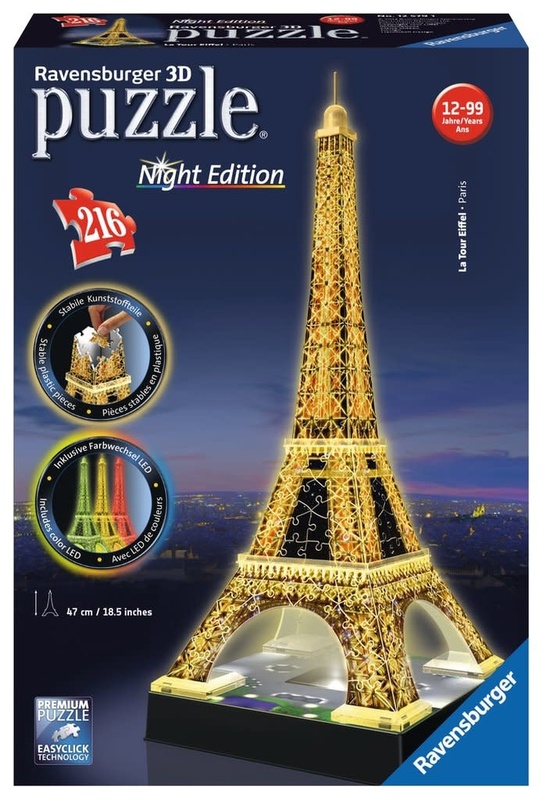 Eiffel Tower by Night features 216 carefully-constructed plastic puzzle pieces, including curved and hinged pieces that interlock to create an 18 inch copy of this classic Parisian monument, complete with lights! 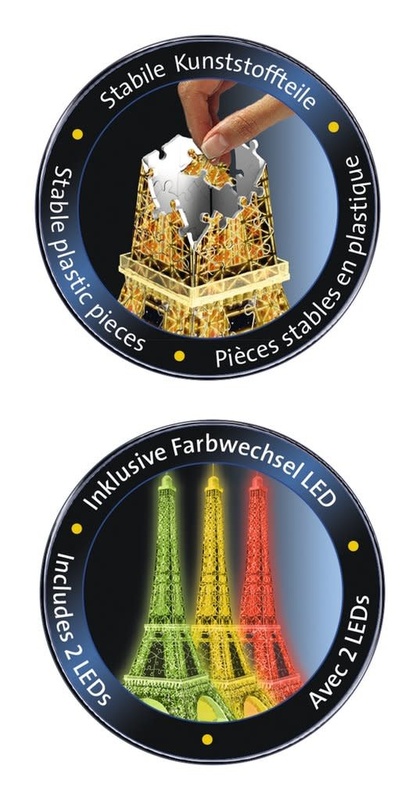 Choose from gentle illumination or amazing changing colors. 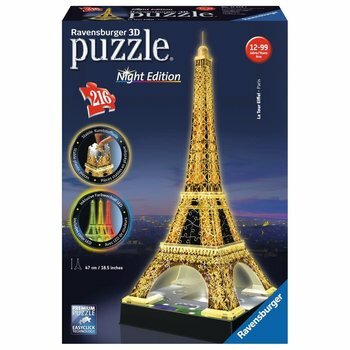 Start at the base and work your way up – display your finished model or disassemble and enjoy the challenge of building again.